Inspired by the PBS children’s animated seriesDragon Tales, Dragon Tales Live! The Riddle of Rainbow River is a 75 minute arena-style touring show that features favorite characters from the series. Among the cast are two children who play the part of siblings Max and Emmy. 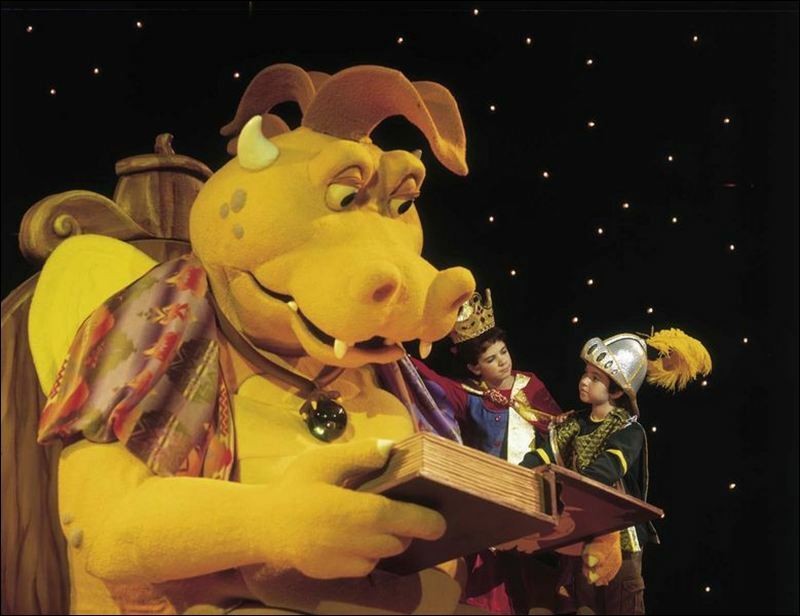 They interact live onstage with actors/puppeteers who bring the costume characters and giant puppets to life. Great Ideas Creative Group participated in concept development alongside the series producer, an Emmy Award winning series writer and the production team at VEE Corporation, the executive producers of the show. We provided creative direction and music production for the show, which included directing and recording character voice dialogue, music recording and show track assembly. This is the third of a series of Dragon Tales Live! stories that Great Ideas Creative Group has helped create and put onstage. Other stories include Dragon Tales Live! The Missing Music Mystery, and Dragon Tales Live! Journey To Crystal Cave. Copyright 2018 — Great Ideas Creative Group — All rights reserved.